Welcome to our Buying Guide to help you choose the Best Cyclone Dust Collector for your workshop. Dust is the Enemy! I’ve seen signs like this posted in every type shop from spray booths to woodworking shops. Whether it’s a home garage shop, or an industrial size woodworking factory, a cyclone dust collector is the best way to control the dust that’s created by cutting and sanding. With this in mind, we’ve embarked on a mission to find the best cyclone dust collectors. There has been a lot of research conducted into the effects of dust in the work place, but common sense tells us that it’s not a good thing. It goes without saying that a dust-filled environment is not only uncomfortable, it is a known health hazard. Over the years, the Occupational Health and Safety Administration (OSHA) have introduced numerous measures and legislation to ensure clean air in the workplace. So, in many instances a cyclone dust collector is an absolute necessity. At home, these machines may not be a legal requirement. But let’s face it, a clean dust-free shop is both pleasurable and improves the quality of our work. A shop vac can suffice for small amounts of dust, but nothing beats a powerful cyclone dust collector for the ultimate in convenience and clean air in your shop. Before you set out in choosing the best cyclone dust collector for your shop or garage, you may have a long list of questions. Foremost on your mind, would probably be what size cyclone dust collector do you need? How do you install a cyclone dust collector? There are a whole bunch of facts that you may not even have considered. So, after reviewing some of the best cyclone dust collectors, I’ll go on to provide a buyer’s guide to help those who need a little more knowledge before making a decision. When selecting a cyclone dust collector for your shop, you may think that horsepower (HP) is all you really need to look at. Nothing could be further from the truth. The design of the machine, collection drum, and cubic feet per minute (CFM) are some of many factors to consider. You can find out more about this in the buyer’s guide. The three models that we’ve selected for this review can all be considered as great options for a mid-sized commercial shop or a home shop that uses several machines at the same time. They are all in a similar price range, with specs that differ in some ways. The largest model, the Grizzly, is a 3HP cyclone dust collector. The other two (G0441Baileigh DC-1450C and Jet JCDC-2) have 2HP motors. As a dust collector of this size is not a cheap item, I wouldn’t think that you should base your decision on price. All the dust collectors that we’ll be reviewing fall within about a $100 of one another. So you should rather look carefully at the specs and features to determine which is going to be the best option for your shop. I’ll endeavor, wherever possible, to point out these differences in a bid to make your decision easier. Best Cyclone Style Dust Collector. Simple to assemble, usually taking 2 hours or less. Can pull 1,450 CFM in suction for 6 to 8 hours a day. Takes 220-volt single-phase power, available at most shops. Robust 2 hp motor offers 1,450 CFM, enough suction for multiple machines at once. 1 micron filter prevents small particles from escaping into your shop. The fine filter will purify your air so you can breathe easily. Simply turn a handle on the steel mesh container to eliminate filter buildup and keep the CFM suction going strong. Cyclone design can extract finer dust than a bag-style dust collector for even clearer, safer air conditions. 28-gallon steel drum has a window on the side, so you can see how much dust you’ve collected. Dust collection drum is on wheels, helping you dump sawdust without spilling it. 2 suction ports (6” x 4”) hook up to accommodate small central systems. Comes with a grounding screw; just attach a copper wire and touch it to PVC hose to take away the charge. Remote-controlled start comes in handy when you need to turn on the dust collector from across the room. You can set the timer to turn off automatically after hours of use. Low noise levels let you have a conversation around the machine without straining. 4 swiveling casters on the base make this a conveniently portable dust collector. It’s simple to assemble, usually taking 2 hours or less. Includes lifetime technical support by phone from a team of reps with woodworking experience. The Baileigh DC-1450C is a very practical 2HP cyclone dust collector with some outstanding features. It’s relatively compact, provides a good level of air filtration and is one of the quietest in its class. There are many reasons why one could consider this machine to be one of the best cyclone dust collectors. There are no official noise level specs for this dust collector. But it’s said to be one of the quietest. On their website Baileigh claim that it’s possible to hold a normal conversation when standing next to the machine. This seems to indicate that the noise levels would be around 65dBA. While this cannot be confirmed (I have not actually tested this claim myself), it is way quieter than most. This is a distinct advantage, especially for home use. Generally, cyclone dust collectors are known to be noisy monsters. The large electric motors are nowhere near quiet and the increased volume of air flow generates a considerable amount of noise. So the quiet operation is one of the biggest advantages to the Baileigh DC-1450. The large industrial-style 1-micron air filter makes the grade, but does not provide the finest filtration that you can get. There are many filters that remove particles from the air down to a fraction of a micron. It can handle a large volume of dust and circulates clean dust-free air to your shop. The 28-gallon drum may not be the biggest there is, but is perfectly capable of handling the requirements of a mid-sized shop without the need to empty it too often. A conveniently placed handle at the side of the drum makes it easy to dislodge the dust that collects around the filter. This makes it simple to keep the filtration system working at its optimum capacity and not restrict air flow. The cyclonic system works quite efficiently to generate 1450 CFM air flow. I would presume that they have accounted for the static pressure (SP) at the intake ports. There are two suction ports at the side of the drum, one 4” and one 6”. However, they don’t seem to have put too much thought into the positioning of these ports. They protrude from the drum at a height that makes them vulnerable to knocks that could cause some damage. You should take this into consideration during installation. It would be a good idea to try position the machine in such a way that the pipe connectors are facing in a direction that would minimize the chance of an accidental impact. Many will like the quick assembly, it should take less than 2-hours to set the machine up. Once installed, it’s also really convenient to use. The unit is fitted to a sturdy steel frame that stands on casters, so you can move it around without any effort. Emptying the drum is just as easy, as it too has casters. The dust drum moves independently, so you can detach it quickly and wheel it to where you want to empty the contents. A remote control is provided for extra convenience. You can switch the Baileigh on or off from anywhere in the shop. It also has a timer, allowing you to set the running time to function automatically. As one would expect, this is a 220V machine and uses a single phase supply. When installing the Baileigh dust extractor, you should connect it to a 15A circuit breaker to allow for the high start-up current. This is normal for any equipment with that type of power spec. The Baileigh DC-1450 is the ideal cyclone dust collector for a shop with limited space. The compact design and low noise levels are a major factor that would make it more attractive for people with a smaller shop. Its mobility is another reason why it’s great for a limited space. Though none of this detracts from its capabilities as a high-powered dust collector. Depending on the dust extraction requirements of your tools, you should be able to hook up 4 – 5 machines and maintain good suction and excellent air filtration. It comes with a 1-year warranty and all the technical support you need. 3hp. One of the best Cyclone Dust Collectors for the money. Pleated Filter, provides 113 square feet of surface area. Filter surface area: 113 sq. ft. Approximate shipping weight: 400 lbs. Compared to the other two cyclone dust collectors in this review, the Grizzly is a giant. It is the best of the lot for a larger shop, capable of handling more machines. It also is one of the best for large capacity dust collection and top-grade air filtration. All this makes it a huge machine and it will generate more noise than the smaller dust collectors. This is inevitable – more power always means more noise. The Grizzly is a huge growling beast. The industrial steel frame and mountings add quite a bit of weight to an already heavy machine, weighing in at a hefty 347 LBS. Once installed, you’re not going to be moving it. At a height of 109”, this is a tall structure and I like that the large 8” intake port is positioned near the top – out of harm’s way. The powerful 3 HP motor is also at the top with an absolutely massive and very effective filter bag to the side. At the bottom, an equally impressive 55-gallon collection drum takes care of the heavy debris. The total width is 60¼” and it measures 38½” from front to back. As you can imagine, the huge 55-gallon drum is going to be heavy when full, so it’s a great relief that this is mounted on casters that make it much easier to move. This dust collector is designed to maximize its power and efficiency. The 15½” steel impeller is both very robust and highly effective, generating an air flow of 1654 FPM at a 2” Static Pressure (SP). It has a maximum SP rating of 14.2”. Though when connecting directly to the 8” port, the SP at the inlet is 2”. This will increase as you use adapters to reduce the pipe size. A 2” restrictor plate will increase the static pressure (at the inlet port) to 13.8”. This is a natural effect when restricting the airflow with a lower diameter. If all of this sounds confusing to you, don’t worry. I’ll explain everything you need to know later, when I discuss how to go about choosing the best cyclone dust collector for your shop. Then there’s the incredible HEPA air filtration system, providing air that’s clean enough to meet laboratory standards. The HEPA air filtration system is sold as an optional extra, though the filter that comes as standard equipment outperforms most others. Instead of simply using a standard cartridge filter insert, the Grizzly is fitted with a massive 113 square foot (surface area) pleated canister filter that can handle and enormous amount of debris, removing 99.9% of airborne particle between 0.2 and 2 microns. All the fine dust is then collected in a large clear plastic collection bag, allowing the Grizzly to perform better for longer. This is certainly one of the most convenient and effective air filtration systems used for workshops. The vertical positioning of the motor above the blower has some great advantages. This lowers the vibration and prevents any kind of accidental damage. Another great part of the motor mounting and blower housing is that it can rotate a full 360°, allowing for the most practical installation. You can position the intake for the best connection to your ducting. The use of 11-gauge steel for the blower housing and 14-gauge steel for the cyclone body is a clear indication of the rugged industrial purpose for which this machine has been designed. The 3HP motor means that it will guzzle a fair amount of electricity. It will require a single phase, 220V, 40A circuit with the correct gauge cable for this type of load. All this power also makes it a bit on the noisy side (83-84dBA). It’s fitted with a remote controlled magnetic (contactor) switch with overload protection. Both in its outstanding performance and durable design, the Grizzly G0441 is an industrial-grade cyclone dust collector. 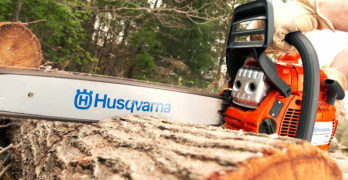 The heavy-duty materials and components are more proof that this machine is built to work hard under the toughest conditions. As are the large collection drum and filtration system. This is one of the best dust collectors for busy shops that use a lot of machines producing large volumes of dust. 2 hp model. One of the best Cyclone Dust Collectors. Swivel casters make it easy to move the unit. A quick comparison between the Baileigh DC-1450 and the Jet JDC-2 reveals very similar specs and features for both models. This may make deciding between the two a difficult choice. So, before reviewing the Jet option, I’ll provide my observations for a quick distinction. They both utilize a 2HP, single phase motor. 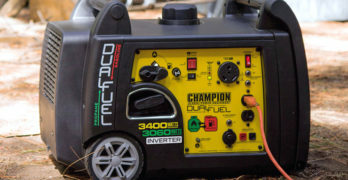 The Baileigh is rated for 220V and this one 230V – though the power connection remains the same. So they consume the same wattage. However, the Jet machine has a better air flow rating of 1538 CFM at the 6” inlet, compared to 1450 for the Baileigh. This is a minor difference, but the Jet is the more powerful machine. I cannot confirm this with certified measurements, but I think the Baileigh is the quieter of the two. Again, this would only be by a small margin. So, by splitting hairs, we can deduce that the Jet has a slight power advantage, with the Baileigh having an unconfirmed noise level advantage. Other than these quite insignificant differences, they are basically the same. The Jet has a slightly bigger collection drum (30-gallons) and this is also independently mounted with casters for easy removal. The frame that contains the machinery also has casters, allowing you to move it around the shop. So in terms of practical space usage, they are pretty much the same. Filtration is identical – a particle removal capacity of 1 micron. The Jet has a timer and remote control with a 50-foot working range. So it’s just as convenient for a mid-sized shop. It has a paddle that allows for quick cleaning of the filter mesh, similar to the Baileigh. It also has two inlet ports (4” and 6”). This is at a similar height to that of the Baileigh, which, as I mentioned, is something I’m not too impressed with. I guess they did this to make it easier to disconnect the hose. Since these are movable machines, it’s logical to assume that some users will want to disconnect the extraction hose to move the machine. The lower height of the intake ports makes them easier to access. When all is said and done, I cannot recommend either of these two machines over the other. They are both very practical, user friendly cyclone dust collectors with just about the same capabilities. As contenders for the best cyclone dust collectors for a home or mid-sized shop, they are equally brilliant. It’s time now to look at cyclone dust collectors in more detail. Some of you might not be entirely sure what exactly a cyclone dust collector is. How does it differ from other dust extraction systems? So I’ll start at the beginning by explain how a cyclone dust collector works and how it differs from your other options. After covering this, I’ll move onto all the technical stuff that will help you when buying and using a cyclone dust collector. A cyclone dust collector uses centrifugal force to separate the debris that is extracted from the air in a shop. An impeller causes an air flow, like any conventional dust extraction system. Once it inters the intake, the machine is designed to separate the heavy debris from (like wood chips) from the fine dust. The heavy material is deposited into a collection drum and the fine dust is collected in a filter, releasing clean air into the shop. Traditionally, cyclone dust collectors don’t provide a high level of filtration (around 2 micron particle size). However, the best modern cyclone dust collectors use large, industrial size fine filters that remove particles down to 1-micron or less. The very best of these filtration systems even meet High Efficiency Particulate Air (HEPA) filtration standards. This means that they will remove at least 99.97% of airborne particles. The main advantage to using a cyclone dust collector, opposed to a conventional bag dust extractor, is in the large volume of airborne particles they are able to collect with the greatest efficiency. By separating the heavy debris and depositing this into a drum, the filters don’t become clogged as quickly. This means longer intervals between cleaning and replacing the air filters. As a result, a cyclone dust collector will not experience a great reduction in suction power. Their greater efficiency, make cyclone dust collectors the first choice for woodworking shops and stone cutting where there a large volume of dust is being generated on a constant basis. The most important aspect to choosing the best cyclone dust collector is the air flow that it generates. This is the amount of air that the machine is able to circulate, measured in Cubic Feet per Minute (CFM). Depending on the volume and size of the debris that a tool generates, their CFM requirements will differ. So it’s a good idea to list the tools that you use and check their individual CFM requirements for dust extraction. You can usually find this in the owner’s manual. You then need to factor in the amount of machines that will require dust removal at the same time. In other words, how many machines will be operating at any given time. You may not always be able to find the air flow requirements for all the tools in your shop. 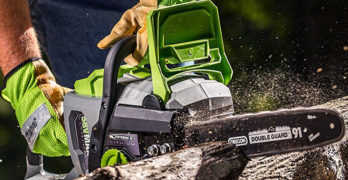 So I’ve compiled a list of typical values for the CFM requirements of commonly used power tools. Calculating the airflow requirements for your tools is the easy part. Things start to get complicated when you have to determine the airflow loss caused by static pressure (SP). For an accurate assessment, you may want to consult an engineer who specializes in this. When air moves through a hose or ducting, there is friction between the moving air and the walls of the pipe. This causes drag which slows the air, reducing the CFM rate. This effect is known as Static Pressure (SP). This is measured in inches, which basically indicates how much water would be displaced in a tube by the measured amount of static pressure. A smaller diameter pipe will cause the greatest SP loss. Bends and corners in the pipe will increase static pressure. The greater the angle of the bend, the higher the SP. So when accounting for static pressure we need to determine the pipe diameter and the number of bends in the pipe. This will be over the total distance from each tool to the intake port of the dust collector. You can estimate your SP loss, using the table supplied below. To do this, you’ll need to measure the distance from the tool to the dust collector and match the size of ducting to the equivalent diameter on the table. Then add the number of bends to the corresponding value for the size ducting. You may be using a narrower diameter pipe from the ducting to the actual tool, so you’ll need to calculate this separately. The first row of figures lists the diameter of pipe or duct. The second row indicates the CFM loss for every foot of pipe. The last two rows are the amount of feet that you need to add to your total length in order to factor in the respective bends that are used. Here is an example of how you would put this into practice. Let’s say that you have a saw requiring 350 CFM. You have a 5 FT 2” flexible tube from the saw to the ducting. The duct is 6” in diameter and is 15 FT from the dust extractor. There is one 90° bend in the duct and one 45° bend. Calculate the SP loss for the 2” tube. Because we don’t have an exact angle for the bend in the tube, we can estimate this to be close to 45°. A 2” diameter pipe has 0.15 / FT CFM loss: 6.5 X 1.5 = 9.75 CFM loss for the 2” tube. Calculate the SP loss for the 6” duct. So the total CFM loss from the dust collector to the saw is: 6.5 + 1.35 = 7.85 CFM. 350 + 7.85 = 357.85 CFM. You’ll need to do this for every tool in your shop to accurately calculate your true CFM requirement for the cyclone dust collector that you choose. If you have a reasonable degree of technical savvy, it shouldn’t be too complicated to install your new cyclone dust collector. It usually requires assembling the frame and bolting the components together. The instruction manual that accompanies the machine, should explain this to you and provide easy to follow diagrams. If this isn’t clearly explained, you should find How-To videos on You Tube for most common brands. I find them to be extremely helpful. Assembling the machine is only part of the job. You need to install the correct electrical wiring. This means fitting the correct size circuit breaker and then running the appropriate gauge wiring to the machine. Installing your ducts and pipes should be given good consideration. What you need to decide on very carefully is the diameter pipe that you choose. A larger diameter minimizes CFM loss, but decreases the air speed. Your instruction manual should provide you with the maximum diameter pipe recommended for the dust collector. Otherwise, the size of the intake port on the machine should give you an idea of the best size pipe to use. Keep air pipes to a minimum distance with the lowest amount of bends in the pipe. This reduces and drag, thereby minimizing the CFM loss.